Advisory Board Company settles its differences with an activist investor, with SEC filings suggesting that hedge fund operator Elliott Management may be interest in acquiring some or all of the company after pressuring Advisory Board to hire an investment bank to explore strategic options. Elliott had applied similar pressure to Cognizant Technology Solutions, of which it holds 4 percent of the outstanding shares, but reached an agreement with that company last month after Cognizant restructured its board. Elliott, which is ABCO’s largest shareholder with an 8.3 percent stake, declared the stock undervalued in January. (update: I incorrectly stated that new purchases reported to the SEC on Friday had raised Elliott’s ownership to 16 percent, but it remains at 8.3 percent). Above is the one-year price chart of ABCO (blue, up 50 percent) vs. the Nasdaq (green, up 25 percent). The company’s market cap is $1.8 billion. 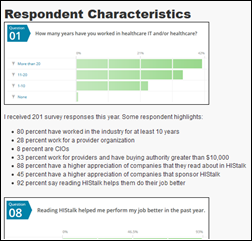 New poll to your right or here: how will the health IT business change over the next year? A reader recommended that I pose a weekly question to readers who can answer anonymously, with a follow-up post recapping the responses. He or she suggested this first question: describe one unethical decision your employer made in the past year. Listening: new from Portugal.The Man (that’s not a typo – there’s a period in their name), an Alaska-formed indie pop band whose music defies simple genre categorization beyond being personal, melodic, and featuring rich, expressive vocals and an everyman stage presence that lets the band’s talent speak for itself. Their acoustic album, 2009’s “The Majestic Majesty” is unbelievably good. Their spring tour starts this week, with the band swinging through Nevada, California, Arizona, New Mexico and then moving east through the end of July (with stops in HIT-heavy Madison, Atlanta, and Philadelphia). My gosh, they are amazing. 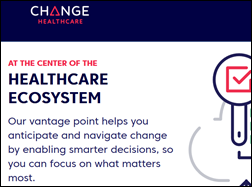 McKesson and Change Healthcare Holdings complete the creation of Change Healthcare, which combines CHC’s software and analytics business with most of McKesson Technology Solutions in launching one of the largest health IT vendors with 15,000 employees. Mayo Clinic’s year-end financial report says it will spend more than $1 billion to implement Epic. An Amazon Web Services outage left some cloud-based EHR users, including those of Practice Fusion, without a system for a few hours. 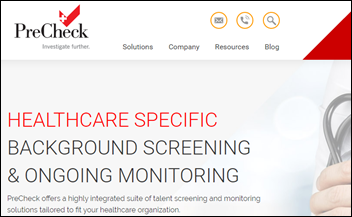 Memorial Healthcare System (FL) pays $5.5 million to settle HIPAA charges that two employees plus another 12 of its affiliated physician practices stole patient information to file fraudulent tax returns. Just-formed Change Healthcare is looking for a new headquarters location, reportedly considering a move to Atlanta from its leased offices in Nashville. 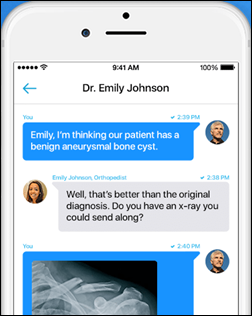 OhMD, which offers a texting app for patients and doctors, raises $1.2 million in a seed funding round. “Shark Tank” billionaire Mark Cuban invests $250,000 in Denver-based Matrix Analytics, which offers big data-powered clinical decision support. Founder and chief medical officer Aki Al-Zubaidi, DO is an assistant professor and pulmonologist at National Jewish Health. Claims management and payments vendor Zelis acquires dental PPO provider Mavarest Dental Network. 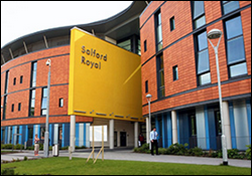 In England, Salford Royal NHS Foundation Trust chooses Validic to integrate patient-generated health data with its EHR, beginning with sleep and fitness information. 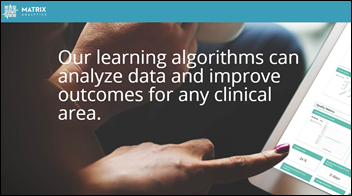 NYU Lutheran Medical Center (NY) went live with Epic in summer 2016. Fort Hamilton Hospital (OH) will go live with an Omnicell automated dispensing cabinet (ADC) in 2017. St. Joseph Healthcare (ME) will go live with BD Pyxis MedStation ADC in 2017. Cheryl McKay, PhD, RN (Orion Health) joins Voalte as chief nursing officer. Data science and point-of-decision platform vendor Clearsense will use big data technology components from Hortonworks. 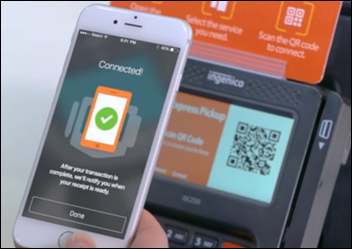 Walmart enhances its app to allow pharmacy customers to order refills from their phones, pay for them electronically, then breeze through an express lane where they use their phone’s camera to scan a QR code at the register, after which their prescription is handed over and they’re done. Walmart, can you please buy up some hospitals and physician practices? 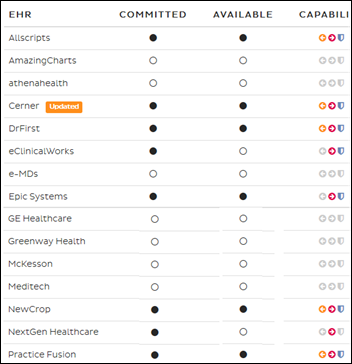 CoverMyMeds publishes its electronic prior authorization scorecard, which finds that EHRs representing 70 percent of the market committing to implement it. In Canada, inpatients complain about the cost of in-room TV, phone and Internet provided as a package by a private company, mostly because they can’t predict their stay and thus can’t sign up for longer-term, cheaper packages. 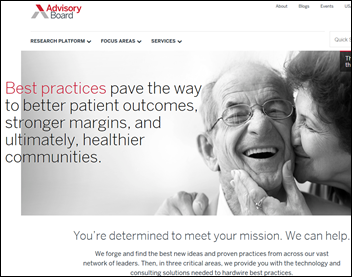 The company says its biggest expense is revenue sharing with hospitals, but the hospital in question says it gets nothing for making the service available. Swedish Medical Center (CO) — which is being sued by dozens of surgery patients who learned that an HIV-positive surgical tech tampered with their IVs to steal narcotics — had outsourced its employee background checks to a private company that failed to uncover the tech’s history of addiction, drug theft, Navy court martial for drug theft, and termination from four hospitals for stealing fentanyl. The class action lawsuit now includes Texas-based PreCheck. The tech, meanwhile, had an additional year tacked on to his 6 1/2 year sentence when he decided to take a family vacation on his way to prison. Bizarre: Arkansas will execute eight prisoners over 10 days in April even though capital punishment has been suspended there since 2005. The state wants to finish its work – punishment for murders committed before 1999 and thus prior to the execution ban — because its supply of execution drugs goes out of date on April 30 and manufacturers no longer provide it for executions. The state hopes the inmates expire before its midazolam. Verscend will exhibit at the RISE Summit March 6-8 in Nashville. ZeOmega successfully completes the Direct Trusted Agent Accreditation Program from EHNAC and DirectTrust.